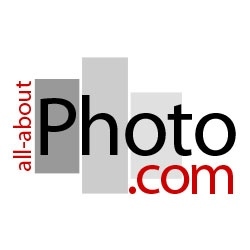 Photo Editor - Photographer @ All About Photo based in Miami, fl Sandrine Hermand-Grisel portfolio on Visura - a professional network to connect with photo editors and art buyers, and build photography portfolio websites. Visura members, like Sandrine, share photojournalism, art photography, landscape, travel photography, portraits and more. Sandrine has 0 projects, community news posts, and 0 images shared in the photo stream. Sandrine Hermand-Grisel is a professional photographer who specializes in Fine Art Photography and Printmaking. She grew up in Paris, France and in London, UK before she moved to the United States with her family in 2006. She decided to use her knowledge of the photography world to become the curator of the website, All About Photo, which she founded in 2013. Much more than a cultural agenda, All About Photo is a source of information for photographers and aficionados of photography as well as a showcase platform for talented artists. An integral part of All About Photo is its annual awards competition, The Mind’s Eye, she has juried over the years with renowned photographers and curators such as Liu Bolin, Ann Jastrab, Ed Kashi, Eli Klein, Jules Maeght, Aline Smithson, Ami Vitale, Judy Walgren, Sabine Weiss and many more. She also juried competitions and shows for A Smith Gallery, Darkroom Gallery, Rayko Photo Center, L.A. Photo Curator, Emerge UK Prize, The PhotoPlace Gallery and The Young Photographer's Award. 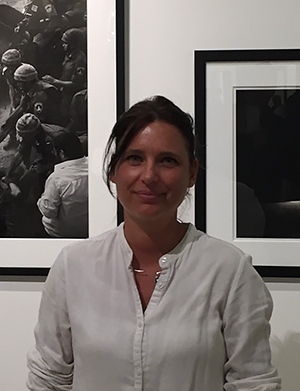 Sandrine Hermand-Grisel's work has been published in books and magazines as well as exhibited in museums and galleries worldwide like the Carroussel du Louvre (Paris, France), Rayko Photo Center (San Francisco, USA), Les Rencontres d’Arles (France), Maison de la Culture (Luxemburg), SFAC Galleries (San Francisco, USA), Europ'art', (Geneva, Switzerland) Los Angeles Center of Photography (Los Angeles, USA), Fotofever Photography Art Fair, (Paris and Brussels), Le Pavé d'Orsay, (Paris, France)... While still working on personal projects, she now spends most of her time discovering new talents for All About Photo. She is also working on the new AAP Magazine committed exclusively to the publication of portfolios.